Spend an evening with video, audio and entertainment production faculty from Husson University! The Nite Show will be taping at the Gracie Theatre on the campus of Husson University. Visit and be part of the live audience for the The Nite Show with Danny Cashman. 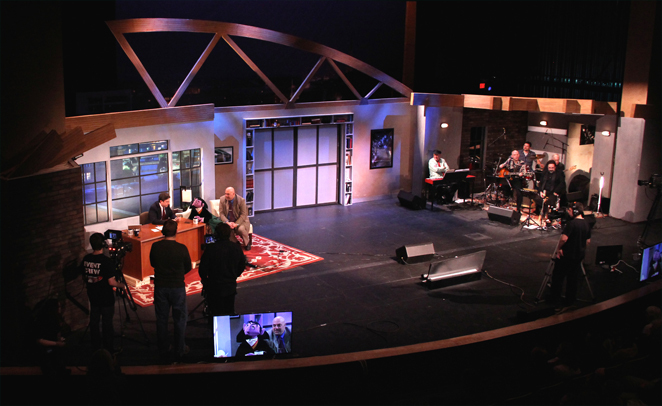 You'll get a tour of Husson University's New England School of Communications and the backstage areas of the Gracie Theatre moments before a live taping of The Nite Show. Have dinner on us at Husson's Dickerman Dining Center and then watch the show as it's taped for broadcast on television stations throughout Maine. Your tour includes an onstage photo with Danny Cashman. If you would like to be part of this photo, please sign the attached form found at the link below. Please click here for the talent release form and to register for Backstage Pass - Bangor. 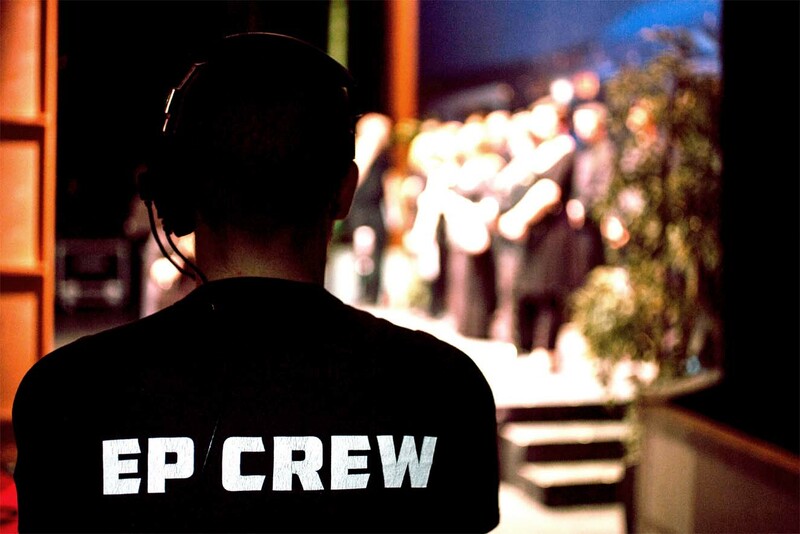 4:00-4:25 Tour NESCom's (WCC) Introduction to programs in Audio Engineering, Live Sound Technology, Video Production, Web Media, Journalism, Marketing Communications, Radio Broadcasting, Sports Journalism and Entertainment Production. The tour highlights the various studios within NESCom including the television, audio recording, CAD & design and graphic design studios. We also visit the WHSN radio station, the electronic music technology lab and more (late arrivals are welcome to catch up with tour in the building).